The science community understands that the Earth is warming. Climate change is affecting sea-levels and causing more extreme weather. According to USA Today, the USA had 3 costliest natural disasters in 2018- California fire in November alone cost an estimated $16.5 billion. 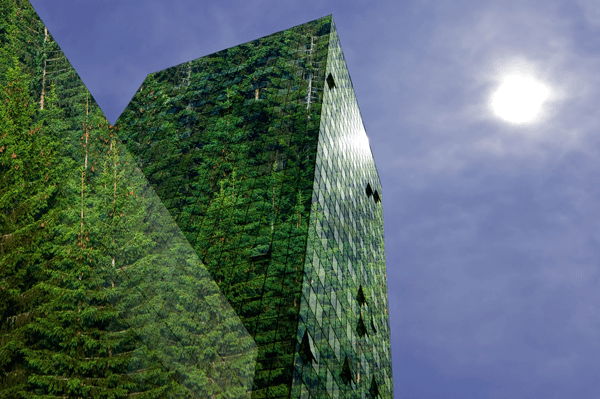 The shifting climate changes the way leaders and architects think about the built environment. There are international commitments such as the Paris Agreement and the Global Covenant of Mayors that brought leaders together to act on sustainability. Leaders in U.S. states and city levels are also planning for climate impact reduction and long-term resilience. Buildings represent 41% of the total U.S. energy output and there are opportunities to improve structures and reduce carbon emissions through Leadership in Energy and Environmental Design (LEED). This entry was posted in Uncategorized and tagged eco-friendly, Green Architects, Green Architecture, green sustainability. Bookmark the permalink.